It’s never too early in the year to sit down with ghosts from the past. As a special treat, History Press West is offering this preview from Andy Weeks’ forthcoming book Ghosts of Idaho’s Magic Valley, which is part of the press’ Haunted America series and has the added distinction of being one of The History Press’ first Idaho titles. Enjoy! Hoo-hoo, the night bird called as we walked away from the tree, the crunch of dry pine needles under our feet. The tree was not our intended destination, nor the owl our primary topic, but it was a nice respite from the subject of ghosts we had been talking about, the reason for my mid-winter visit. But ghosts were again at the forefront of our conversation as Guy led me to our next stop: two mounds rising from the grassy field east of the property. “This is where the kids are buried,” he said somberly. One of them was a girl named Dolly. Guy first heard the girl’s name through a phantom voice that whispered it to him one day while he was working outside the green-and-white homestead. The name later was confirmed to him through research. It is just one of many experiences Guy has had with the paranormal since he moved into the house three years before, he explained. The owl hooted once more as the breeze whipped through the pines. To the north we could see the tops of the Sawtooth Mountains, rising like jagged teeth on the distant horizon, and Guy dramatized what it might have been like when emigrants, their oxen and wagons in tow, visited the old stagecoach stop along the Oregon Trail. You’re standing here and soon you hear horses’ hooves and the turn of wagon wheels, he said. Before long you see the emigrants approach, tired and worn and dusty. A party goes to greet them, offers them cold drinks. While here the emigrants refresh themselves and their animals, buy needed supplies at the nearby storehouse, visit with fellow travelers, and enjoy the cool waters of Rock Creek. While Guy talked on, the owl hooted once more, erasing from me the vision that Guy had painted and bringing my mind back to the present. 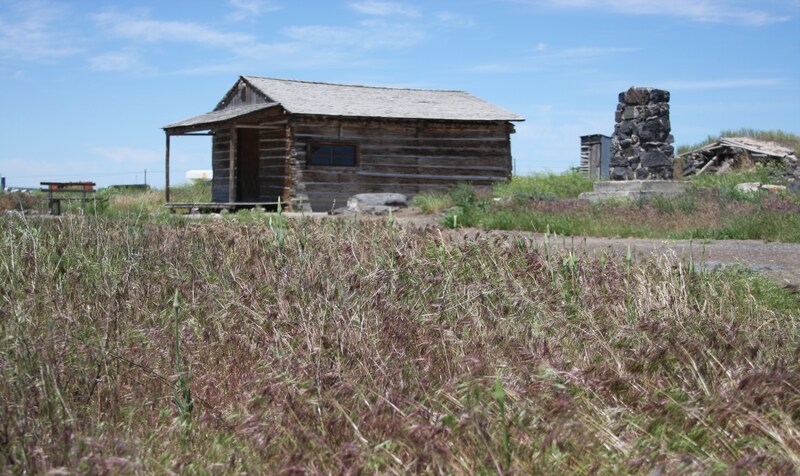 A new interpretive center recently opened at the ranch, but even without it there’s enough to keep Guy busy – mow lawns, trim trees, weed flower beds, and fix and maintain any number of items on the grounds and in the house. It’s a peaceful job, for the most part, and allows him to view a variety of wildlife. Since he moved into the ranch house in April 2010, he’s seen beaver, deer, otter, owl, pheasant and a variety of song birds. Sometimes the owl keeps him up at night. I felt a hand on my shoulder and I woke up immediately. I was trying to think what is going on here. I was lying there, listening to the room, and all of a sudden my light comes on. It just popped on. By this time I’m starting to get a little anxious. … So I get up and look out the window, and there are about eight people out front. This was about 1:30 in the morning. I really wasn’t thinking at the time, otherwise I probably wouldn’t have done what I did, but I came out and said ‘The site is closed and dark and you really shouldn’t be here, and so if you would, I would appreciate if you’d vacate the premises.’ And they started acting like they wanted to give me some flack, but there was one lady there, and I sort of directed my attention to her, and I said, ‘I’ve already called the sheriff’s department; they’ll probably be here in about ten or fifteen minutes, so I’m asking if you guys would leave.’ And she said ‘C’mon guys, let’s go.’ And they jumped in their pickups and took off. I went back into the house and was thinking the sequence of the events. Guy said the hand he felt on his shoulder, which woke him, was like that of a woman’s. “It’s like your wife is lying beside you and she hears something. She wants to wake you up, so she reaches over and grabs you on the shoulder. That’s what it made me feel like; that’s what I thought.” But Guy lives alone. “I came back and sat there on the bed for about two hours, trying figure out what it may have been.” He came to this conclusion: Lucy Stricker woke him so he’d see to it that the hooligans outside wouldn’t disturb the property. Guy has had other paranormal experiences at the ranch, he said, such as that unexplainable thing that happens after using the home’s shower, the phantom noises, and the prankster ghost. Andy Weeks is an award-winning journalist. 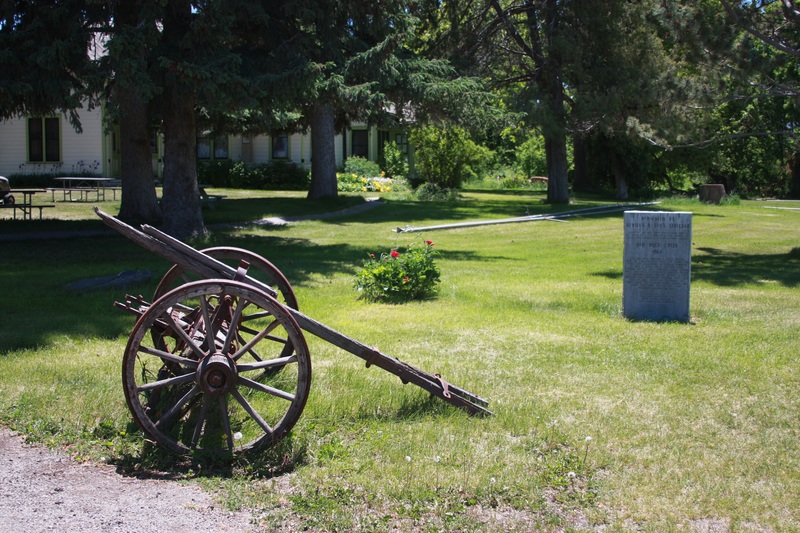 Read more about Stricker Ranch and other local history and hauntings in his book Ghosts of Idaho’s Magic Valley, coming from The History Press in September. His first book about the paranormal, Haunted Utah: Ghosts and Strange Phenomena of the Beehive State, will be released by Stackpole Books in July.